Nordea Asset Management (NAM) is part of the Nordea Group, the largest financial services group in Northern Europe (approx. 10 million customers*). We are an active asset manager with a global business model offering services in Europe, the Americas and Asia. We manage asset classes across the full investment spectrum. Our growing third-party distribution franchise services a wide range of international fund distributors, including many of the leading global wealth managers. We distribute our products through banks, asset managers, independent financial advisors, insurance companies and family offices. Our client base is equally split between captive and non-captive clients. With EUR 217 bn* in assets under management, we have been experiencing strong growth over the past decade. We see alpha strategies as the cornerstone of our multi-boutique approach, which combines the expertise of specialized internal boutiques with exclusive external competencies (multi-boutiques). 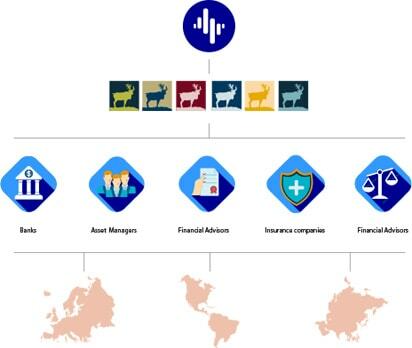 We offer alpha and outcome solutions in one platform to serve clients in all market conditions. We are one platform with many specialists. *Source – © 2017 Morningstar, Inc. All Rights Reserved as of 20.01.2017. Data (expressed in EUR billion, for funds, funds of funds and ETFs (excluding money market funds) provided by Morningstar on 15.04.2015 for 2012, 2013 and 2014, on 12.04.2016 for 2015 and on 20.01.2017 for 2016. Since this information is based on estimated flows, the data is subject to change in the future. While our boutiques are independent in their decision and investment process, we run a common operating platform for trading, operations, risk management and compliance. Within Nordea Asset Management (NAM) we have close to 700 employees, of which 1/3 are dedicated investment specialists within four investment centres in Bergen, Copenhagen, Helsinki and Stockholm. The NAM team includes more than 160 investment professionals. Nordea Asset Management maintains a presence in 15 different countries (see map).